This how-to will show you how to install LEMP on a Debian 8.3 cloud server. LEMP is a web service stack that consists of a Linux operating system, NGINX, MySQL, and PHP. The main difference between LAMP and LEMP is that LAMP uses Apache and LEMP uses NGINX. LEMP has been gaining popularity within the last few years because it excels in speed and scalability. When it asks “Do you want to continue? ” Hit enter. When it asks “Do you want to continue?” hit enter. 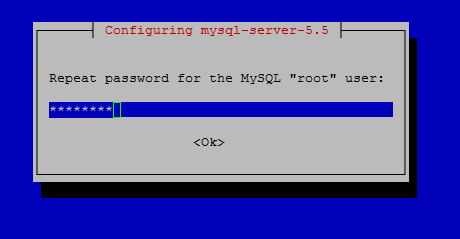 Re-enter your new root MySQL password. Enter your MySQL root password. When it asks “Change the root password?” Type N followed by enter. The rest of the questions are up to you. For standard installations, you can hit enter for the defaults. Now that MySQL is installed we can now install PHP. For Nginx to work with PHP correctly, we need to edit a Nginx configuration file. In this how to, we are going to place a simple Nginx config file. In nano to exit and save, hit ctrl+x and type y and then enter. Congratulations you have installed LEMP on Debian 8.3. Thank you for following this How-To! Check back for more updates, and take a look at our how-to Installing WordPress on Debian 8. Atlantic.Net offers expert technical support and services like Managed Cloud Hosting and popular one-click install applications like cPanel Cloud Hosting.